We’re always looking for active and enthusiastic new members. You will need to join the club and BSAC before you start any training or dive with us. If you’re not sure whether diving’s for you, or you want to give it a go before you commit, come along for a try-dive first. Membership is open to anyone over the age of 18 who meets the BSAC medical requirements, and who wants to participate in club. Email us at argonautsmembership@gmail.com or come along to the club night on Tuesday evenings to find out more. You’ll need to join BSAC as well – we can organise this for you. Club membership covers the cost of the training pool and our club scuba equipment. If you will be training with us, membership will cover all training and use of the kit for the pool training sessions. As a member of the club, you can also join our varied schedule of UK and international dives. As a trainee or if you are crossing over from another diving organisation, you will also need to buy the BSAC training manuals. The ocean and sports diver training packs cost £39. We will organise this for you before you start your training. We recommend you buy your own mask so you can get ones that fits properly. You will also need to hire equipment for the open water training dives. Cost is around £35 – £50 a day. BSAC’s motto is “Dive with friends” and joining a BSAC club is about making new friends and diving in a safe environment with people you know and trust. 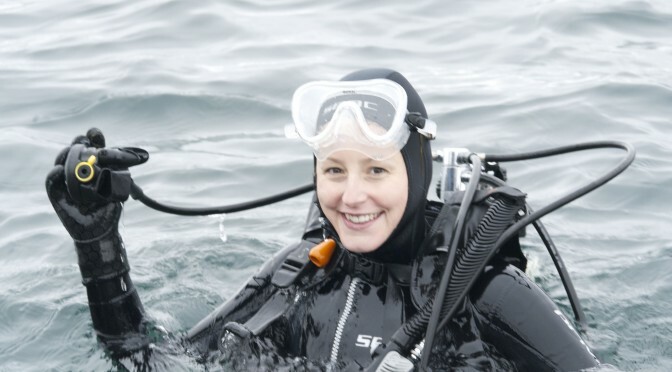 BSAC membership allows you to train for an internationally recognised diving qualification. You also get free third party insurance for your diving trips, a year’s subscription to the BSAC magazine, Scuba, and discounts from the BSAC online shop. We’re a club that’s run on a voluntary basis, and we encourage everyone to get involved in one way or another. There are lots of ways to get involved, from joining the committee that runs the club, organising trips or contributing to the club website. And of course, there’s the pub and social events! Find out more about training.